Each Friday night at 7pm we host a student-led Shabbat, gathering around together to say the prayers and take a break from the long school week. Come join us for a nice free meal, schmooze with someone new, and celebrate the tradition of taking a rest. Have you been to Israel? Wanting to float at the lowest point on earth? Interested in hiking throughout the Jewish homeland? Then Birthright Israel is for you! CU Boulder Hillel takes trips in the summer and winter months on a 10-day free trip to Israel! First Rosh Hashanah/Yom Kippur/Passover/etc. away from home and not sure where to go? We've got you covered! We provide holiday services, a delicious meal, and great company to guide you through your holiday with ease. 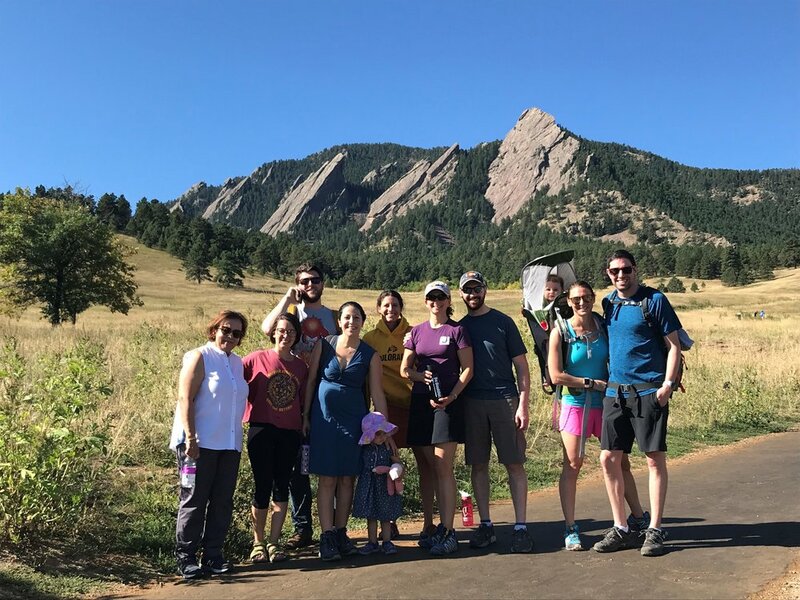 With the Flatirons as our backdrop, it's only appropriate to have an outdoor enthusiast club. Gathering together to enjoy hikes, climbing, and our Colorado playground, this is our way of appreciating the beautiful nature of the great outdoors. If you are looking to get more involved on campus and gain best-in-class leadership skills, we have phenomenal opportunities through our Student Board, program internships, and MORE! If this interests you, contact us about how you’d love to be involved! Here at Hillel, we want to create programming that best fits your passions and personal interests. If you don't see something that interests you, please let us know any other ideas you may have and we'll help them come to fruition.